The books of 2017 new years cards are published and now on sale. I draw 10 design for them. The twelve signs of the Chinese zodiac of the next year is the birds.I like birds as a motif. 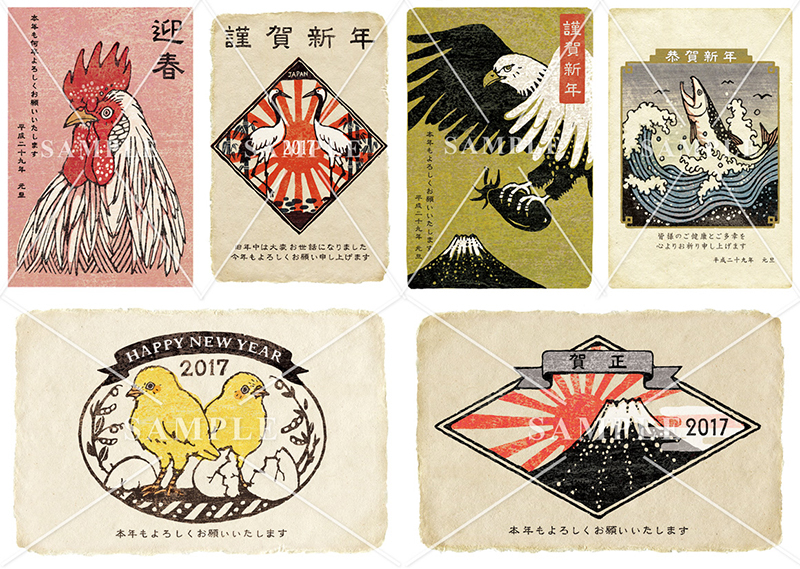 Firstly, the book of Japanese style new years cards. I made it like a woodcut. But my works seemed to more fogyish than other works.